Description: A free customizable site map template is provided to download and print. 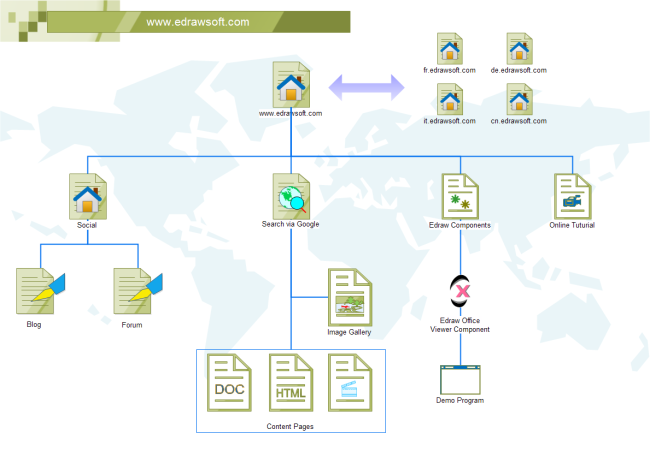 Quickly get a head-start when creating your own site map. Apply a visual representation to describe your website for better expression and communication. More types of network diagrams could be created by Edraw.